NASP organizes different CME programs, workshops, awareness programs. 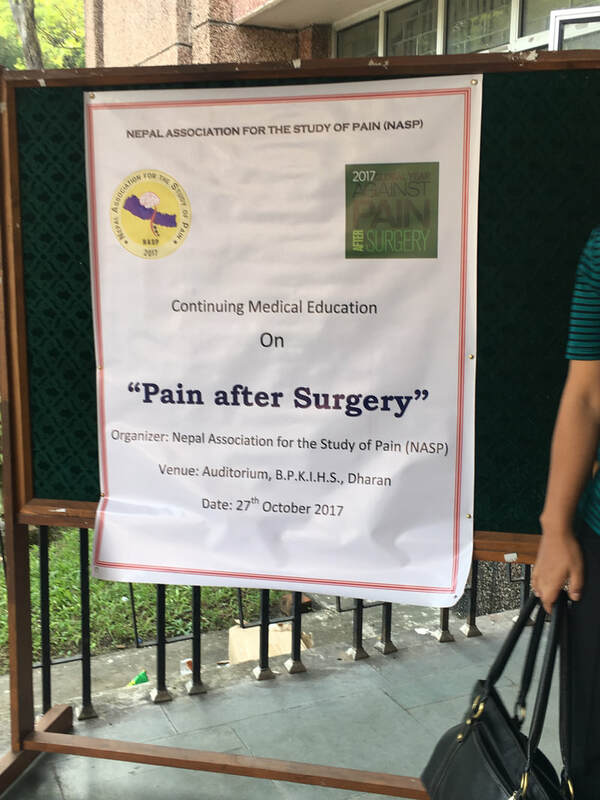 It gives me an immense pleasure to report that the first scientific event organized by the Nepal Association for the study of Pain (NASP), on “Pain after Surgery” was very successful. It was a half day program organized on 27 October, 2017 in the Auditorium Hall of BPKIHS. The program started with introduction of NASP by the President Dr. Anil Shrestha. In the first session we had two lectures. Dr Parineeta Thapa delivered a comprehensive review on neurobiology of acute and persistent post-surgical pain (PPSP). 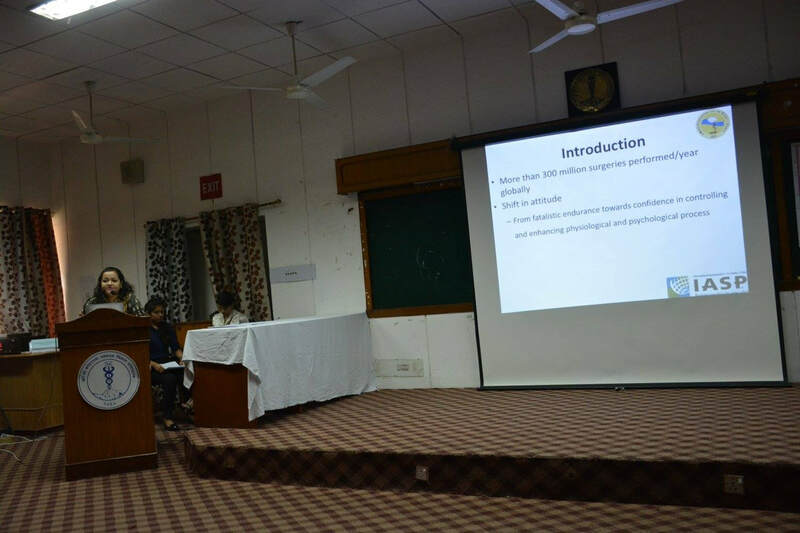 This was followed by Dr Jyotsna Rimal lecture focused on psycho-social risk factors for developing PPSP. After the tea break, Dr Renu Gurung highlighted the importance of opioid in acute pain and its drawbacks. 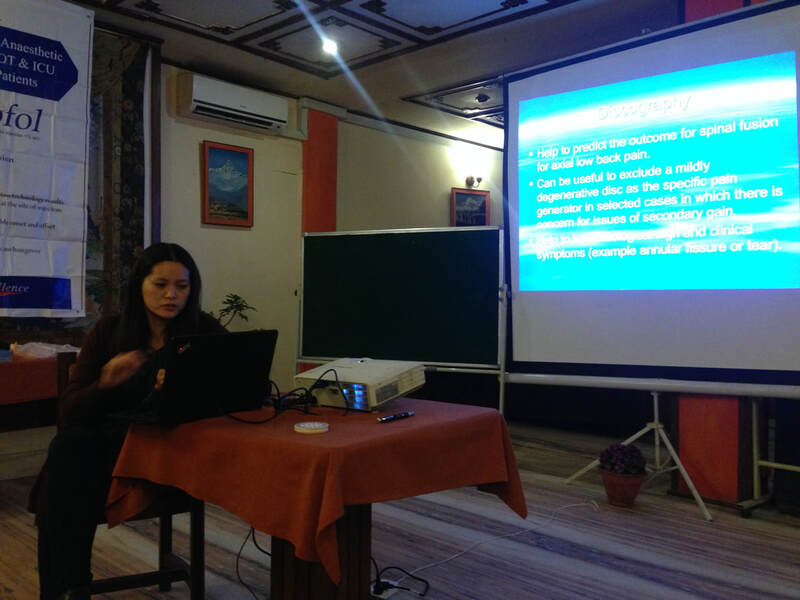 Then the concept of multimodal analgesia was presented by Dr Sindhu Khatiwada. The final lecture was on neuraxial versus nerve blocks, presented by Dr Ninadini Shrestha. At the end of program Dr Asish Subedi gave vote of thanks. Altogether 151 participants attended the CME. NASP organized its first CME on “Pain after surgery”. 2. CME on " Interventional Pain Management"
​Dr.Kathy Wang is an expert practicing interventional pain management in Neospine centre in Seattle, USA. The program started with introduction of NASP by the President Dr. Anil Shrestha. ​ At the end of program Dr Anil Shrestha gave vote of thanks. Altogether 51 participants attended the CME. 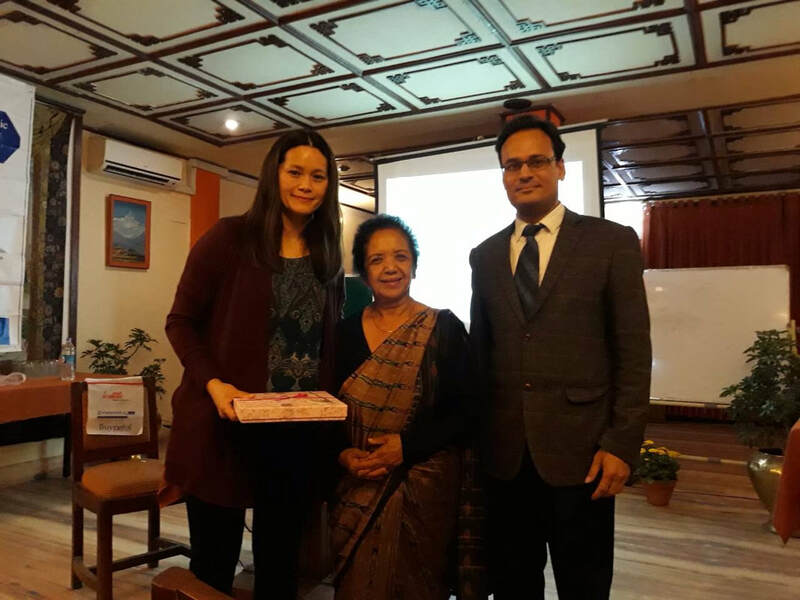 Special thanks to Professor Roshna Amatya , pioneer to establish the first pain management clinic in TUTH to have attended the CME. High regards to the dignitaries of NASP, experts from within the country for adding value to the CME by giving their valuable opinions and sharing their years of experience. We are grateful to Troikaa pharmaceuticals for providing the financial support.